Gluten-free cooking does not have to be laborious and disappointing. There are delicious dishes for all the family and for all occasions, as well as tips on what to avoid, where to look out for hidden gluten, and how to eat naturally gluten-free food. 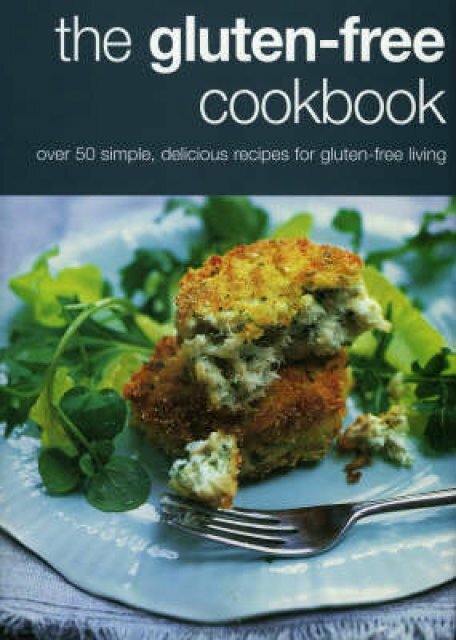 With recipes, such as Lamb and Lime Burgers with Peanut Sauce, Crunchy Polenta Fish Cakes, and Chocolate and Cherry Torte, gluten-free doesn't have to mean pleasure-free. The book is divided into main meals, side dishes, baking and desserts. Baked goods are the most obvious source of gluten, so we have dedicated a whole section containing many useful recipes to help you find that elusive taste and texture that can be absent from gluten-free cooking. After trying a few of these delicious recipes, you won't even remember that you are eating gluten-free. This is a great book. The recipes are kept as simple as possible, many requiring only a handful of ingredients. Every recipe has a time estimate as well as a beautiful full-page or larger photo. This book covers a lot of light main meals followed by some side dishes, baking and desserts. Fruit and vegetables are used carefully throughout to add vibrant colour to the final results. A nice range of recipes that don't require a lot of time or obscure ingredients to make.